“I’ve seen roaches. I mean, how do you get roaches on a moving train?” wondered Arroyo, an engineering consultant who believes the railroad’s lax approach to train cleanliness is sending the wrong message to riders. Arroyo has said he has seen urinal cakes jammed into train vents to double as air fresheners. The railroad said it has hired 21 new car appearance maintainers this year, for a total cleaning crew of 415 workers. That's less than originally planned, LIRR officials said, but an increase from 394 employed last year and 389 in 2017. The workers, who earn a starting salary of about $44,000 a year, clean trains a total of 524 times every weekday — up from 499 before LIRR Forward was initiated. 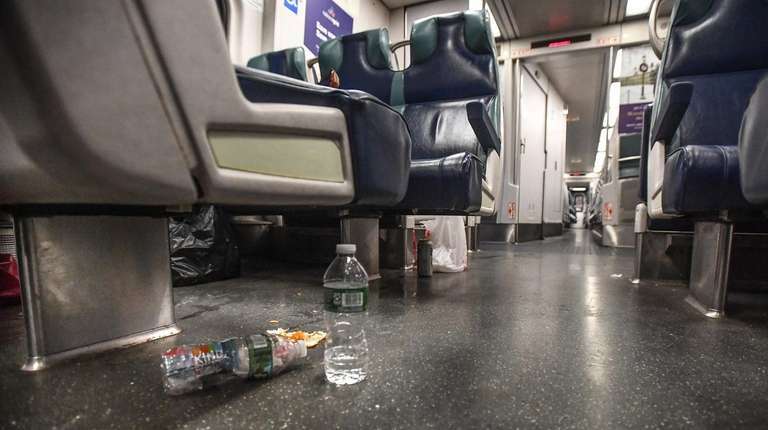 The railroad also has shelved a plan to have cleaning crews, positioned at various key stations throughout the LIRR system, board trains in the middle of their runs to conduct quick cleanups. “While we increased car cleaning from where we were, we didn’t increase it to the level of projections,” Eng told MTA Board members in a December meeting of the agency’s finance committee. 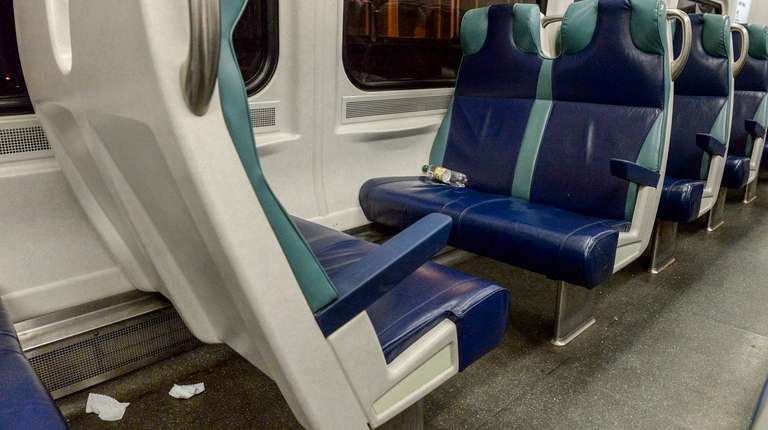 The railroad said its heightened focus on cleanliness also has included the addition of hand sanitizers to 100 bathrooms and counting, scaled back distribution of LIRR marketing materials on train seats, and plans for a campaign to remind customers to dispose of trash at platform receptacles. 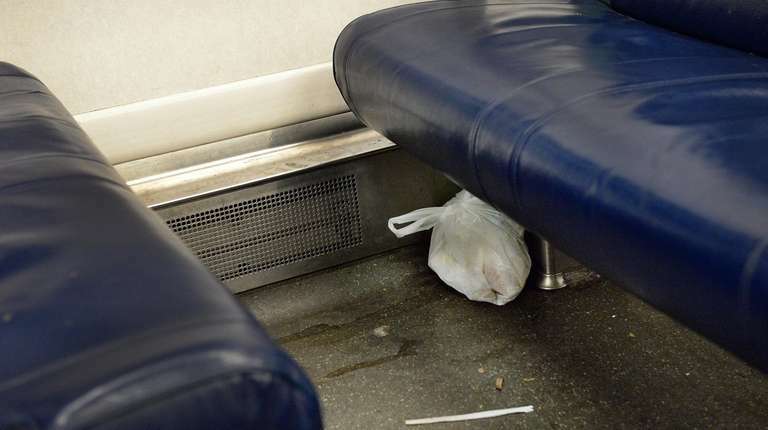 Although the LIRR said its cleaning efforts are an improvement from before the LIRR Forward initiative, many riders beg to differ. Some frequently share photos and images on social media of unseemly train conditions during all times of the day. “How is there so much garbage on the train and I’m only the 2nd stop?” Marianne Leslie tweeted Jan. 4. 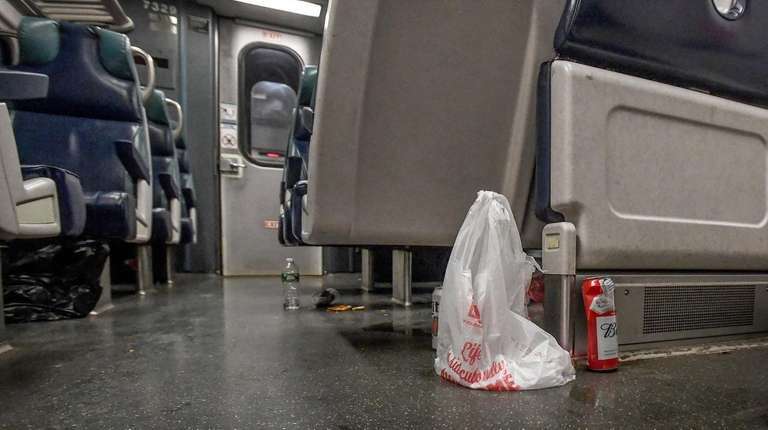 Bill Gaitings tweeted last month about his Cold Spring Harbor morning train being “strewn with trash, beer cans and sticky spills in multiple cars. Anthony Simon, general chairman of the Sheet Metal, Air, Rail and Transportation Union division 505, which represents LIRR car cleaners, said he agreed with riders who think the railroad’s cleaning efforts have been insufficient, and attributed the shortfall to inadequate staffing. While the railroad has hired several dozen new car cleaners in recent months, Simon said they have largely been assigned to fill in existing shortages and that there has not been a meaningful change in the cleaning operation. Simon said it’s not unusual to have just one person tasked with cleaning a 10-car train in the few minutes it sits at a terminal before being turned around for another run. "It's hard to make promises of cleaner trains without the necessary manpower," said Simon, who urged railroad management to meet with labor leaders to collaborate on a plan to maximize cleaning efforts, with a strategic approach to when and where cleaning crews are deployed. "We need to fill those positions, whether they're in the budget or not. It's not our job to figure that out. The riding public wants clean trains. They don't want to sit in somebody's coffee." 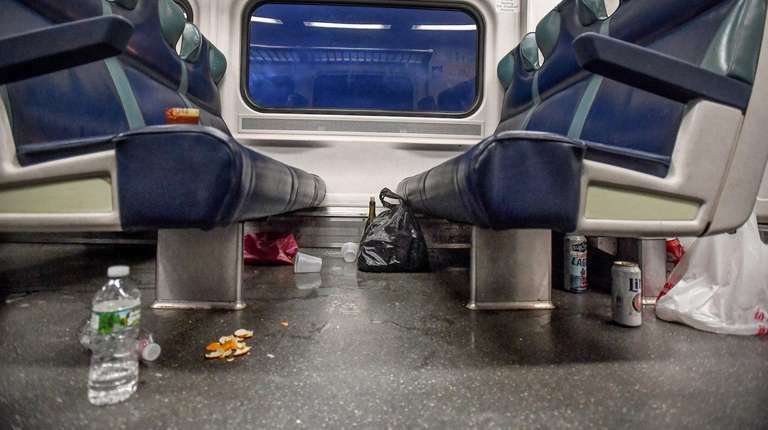 LIRR riders' distaste for filth long has been reflected in the railroad's annual customer satisfaction survey, where questions about train cleanliness tend to draw some of the lowest marks. In the last survey, released in March, 73 percent of riders said they were satisfied with "train interior cleanliness." Just 35 percent were satisfied with the cleanliness of train restrooms.